If you've got a zest for life -- and fashion! 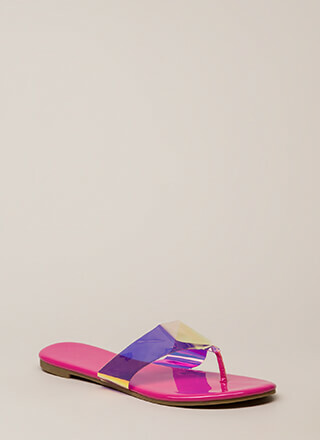 -- don't spend half of it in dirty old flip-flops! 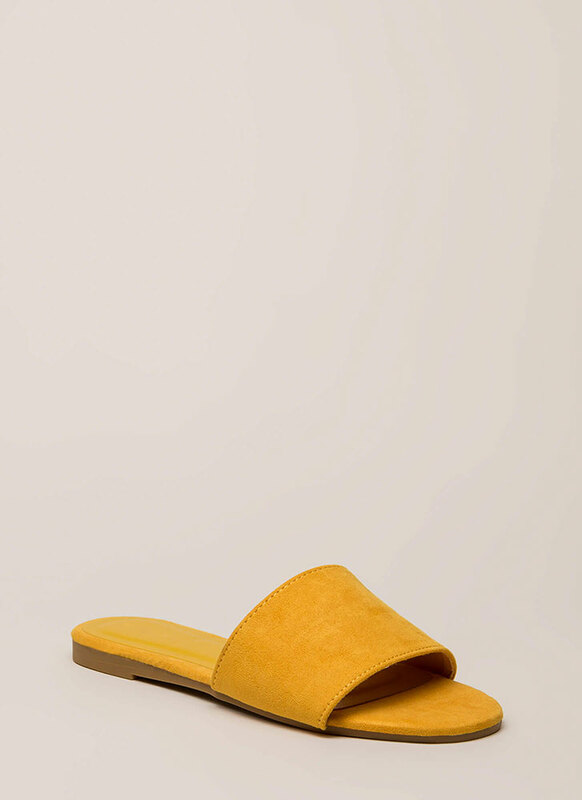 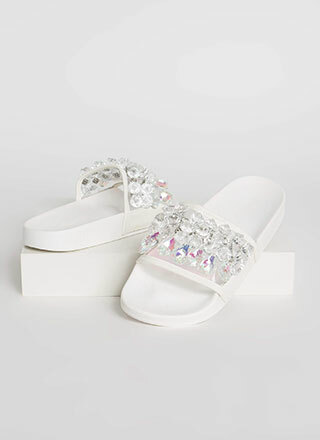 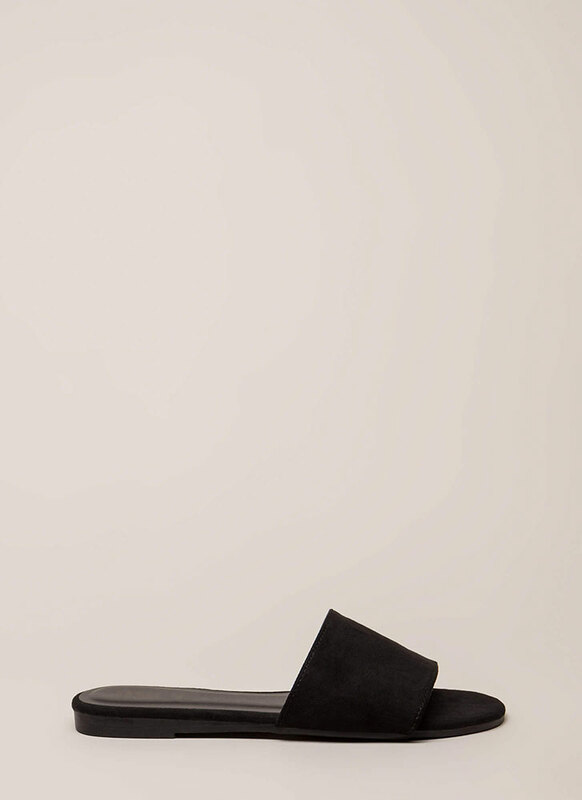 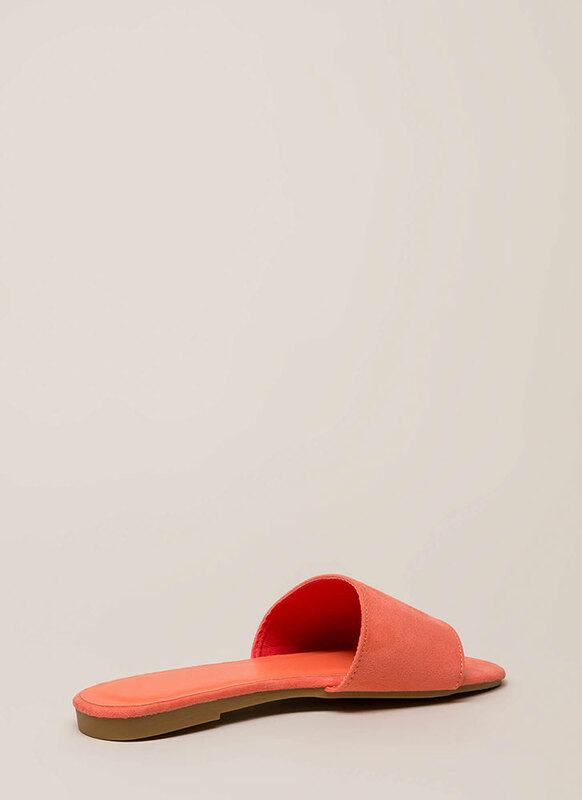 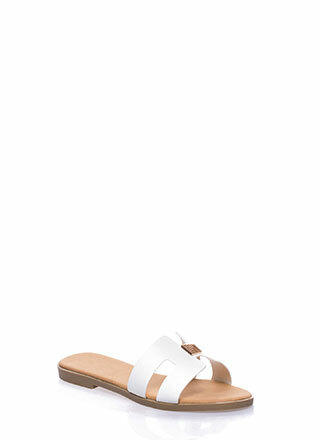 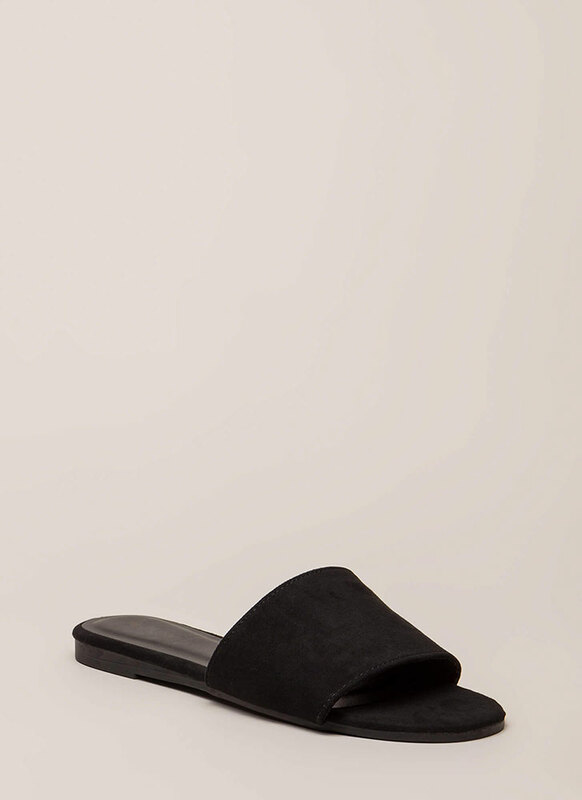 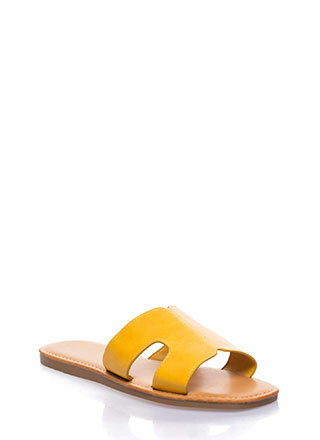 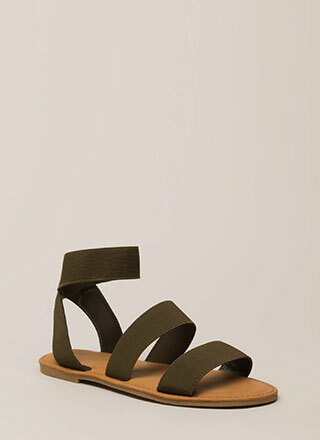 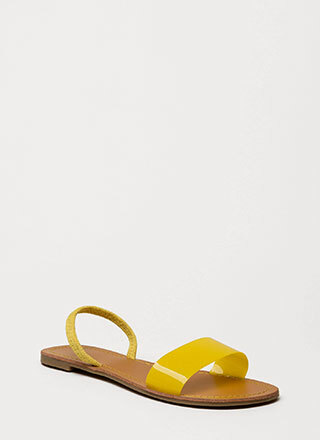 Open-toe vegan suede slide sandals feature an extra wide toe panel, a ridged sole, and no closures.